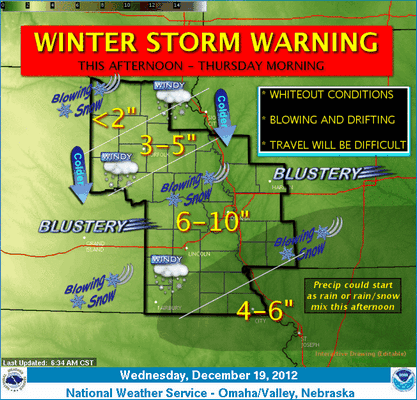 Early indications are that today’s snowstorm is gathering enough power to become a blizzard in Omaha. 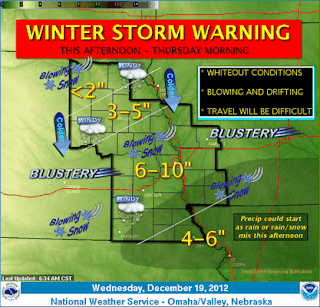 The weather service will decide later this morning, once more information is available, whether to shift from a winter storm warning to a blizzard warning. 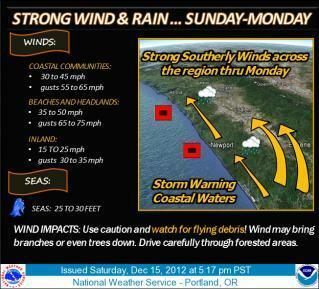 The warning would go into effect at 3 p.m. to remain consistent with the current warning period. The City Omaha to declare a snow emergency at midnight Tuesday and it will begin enforcing the city’s parking restrictions around noon Thursday. NEW YORK CITY CBS NEW YORK) – Ready or not, here it comes!! 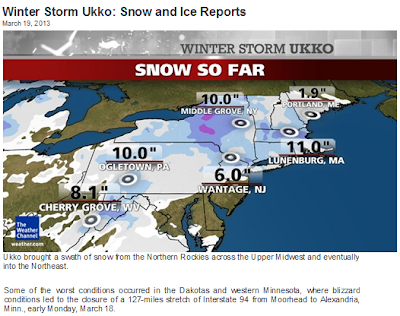 Hours from now, the Tri-State Area is expected to be blanketed with heavy snow and rain, and bashed by powerful winds. BUDAPEST – Hungary deployed tanks to reach thousands of motorists trapped in heavy snow on Friday as a sudden cold snap and high winds struck parts the Balkans, Slovakia and Poland, leaving at least two people dead.